The sheer amount of data generated by new tools is not only an opportunity and a challenge in the scientific world but it will also change the face of some industries. 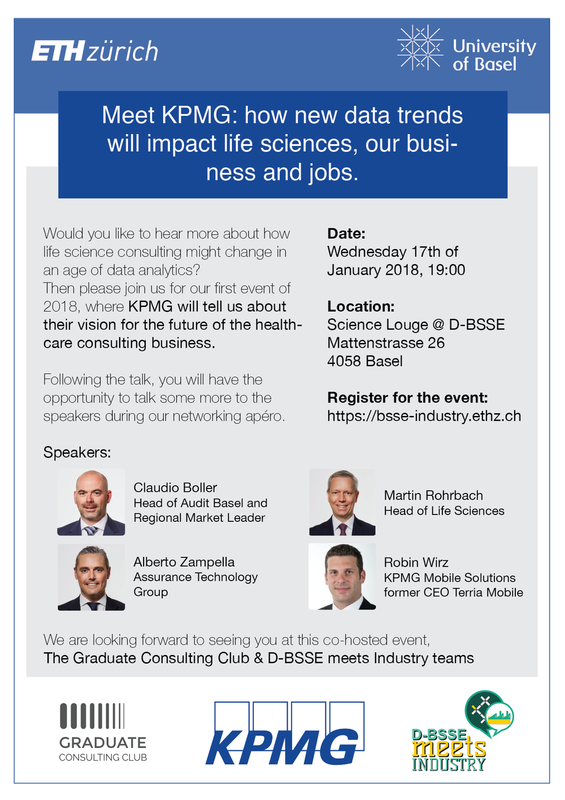 On the 17th of January, 2018, KPMG led a session on how healthcare consulting might change in an age of big data analytics and AI. For this event, which we co-hosted with D-BSSE meets Industry, we welcomed four KPMG speakers, all of whom were pleased to answer the students' questions after the talk and during the sponsored networking apéro.